The LR180 series features a lightweight body with a standard weight one-piece hand-hammered professional bell and reversed #25LR leadpipe. This unique construction offers the quick response of a lightweight model with less resistance from the reverse leadpipe and the projection of a standard weight #43 bell. The silver-plate finish provides a controlled brilliance to the overall sound. 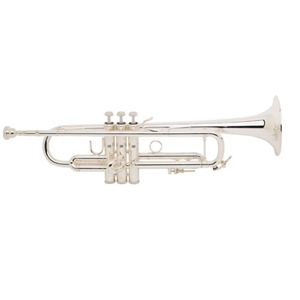 The Stradivarius LR180S43 with a .459" medium-large bore gives a player a more open feel with slightly more control and a vivid response resulting in an instrument that is well suited for all types of music.